Job Simulator made a stack of money which will be handy when robots eventually put us all out of ours. Job Simulator has pulled in $3 million in sales, developer Owlchemy has announced. In a press release, the developer said it chose to share the news because “even in these early days of VR, if you build a quality piece of content, there’s potential for a large audience and solid sales”. That’s presumably a reaction to a lot of doom and gloom over many virtual reality games not turning profits – but given the youth of the platform, that’s probably to be expected, and why it’s so important for companies like Sony and Oculus to generously fund projects. Anyway, if you’re wondering what they key to Job Simulator’s success on the VR market is, Owlchemy reckons it has to do with the game’s spectator mode, which makes it really easy to capture and stream footage of the player which makes a lot more sense to viewers than fitrst-person footage. 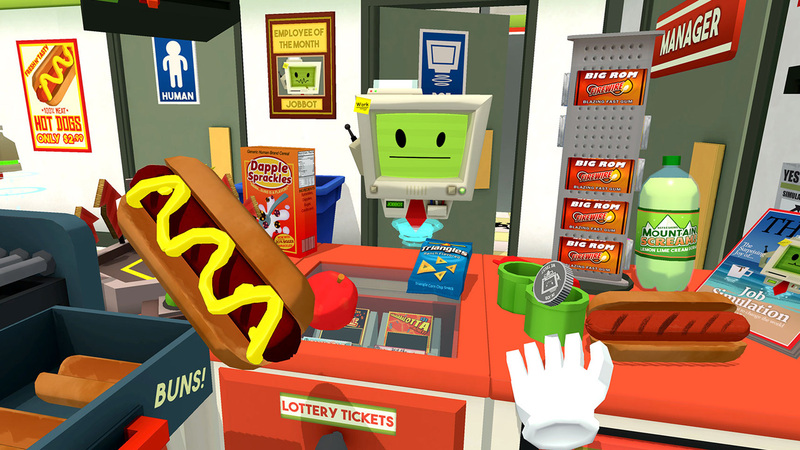 “I think a huge part of Job Simulator’s success comes from how fun it is to just watch someone play around and be silly in VR,” CEO Alex Schwartz said. Job Simulator is also a really VR-y game, if you know what I mean; it really wouldn’t work on any other platform. That’s probably part of the appeal; games that leverage the strengths of their form are usually pretty compelling.